In late 2011, Ken Clark International (KCI), a global executive search firm that I founded in 1996, had grown to 100 people, had 20 offices around the world, and reached $17.5M in revenue. It was ranked 6th in the world according to Executive Recruiter News. Our clients were from all segments of Life Sciences, Health Care, and Medical Services industries worldwide. We worked in all regions of the world for large multi-national corporations, as well as start-ups and fast-growth companies. Unfortunately, I was no longer an executive search consultant, but the Chairman of a very complex professional services firm. It certainly had its rewards, but the older I got, the more taxing it became. Someone once compared leading and managing executive search consultants to "herding wild horses." They were right. So, in early 2012, I decided to follow the advice that I had been giving clients and candidates for 25 years, "Do what you are passionate about and you will ultimately become great at it!" I started Ken Clark Partners (KCP) a small North America & Europe based boutique firm, with the intention of returning to work personally and directly with clients and candidates myself. Over the last six years, I, and a small dedicated team, have conducted 75 search projects at the C-suite level. We have made 70 placements; some in less than 60 days and most in less than 90. To use a baseball expression, "we are batting almost a 1,000!" Placements have been in the US and Europe. In building Ken Clark International, we established a brand - "Ken Clark" - known globally in our focused industries. Now, as the chairman of Ken Clark Partners, most executives have heard of me and when I contact them. Most listen to what I personally have to say. Many ask for my career advice. I speak straight-forwardly and honestly based on my 25 years in executive recruiting. Those meeting me for the first time, learn that I am credible and will have their interests at heart. I invite them to build a continuing relationship with me regardless of the outcome of a specific project. Most accept. Today, the brand "Ken Clark", represents experience, expertise, wisdom, and performance that only comes with age (and a little grey hair.) Our Client Lists and Top Search Projects lists demonstrate that claim. I invite you to take a look. I am excited about the next decade and hope that I can continue to bring the very best in executive talent to my clients, wherever in the world they might be. Frankly, it feels great to be back "home." P.S. And by the way, unlike bigger search firms, I believe in "putting skin in the game." My compensation is based on performance and results. Ken Clark Partners LLC used their best effort in collecting and preparing the information published herein. We strive to provide information that is relevant to you and your organization. If we are not meeting your expectations, we invite your feedback at: publicrelations@kenclark.com. Ken Clark has authored various articles about executive recruiting, employment, development and compensation. Ken Clark Partners has successfully worked with a wide range of Life Sciences clients. Ken Clark Partners has successfully completed search projects in a wide range of functions within Life Sciences companies. 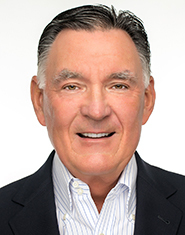 Ken Clark has himself successfully completed search projects for Board of Directors; CEO, COO & President; P&L Executives and Human Resources within Life Sciences companies.